An MBTA bus passenger in Revere allegedly threatened Transit Police officers with a PIT BULL DOG whose aggressive behavior had led fellow riders and a driver to call for help Saturday, authorities said. Sadm was charged with assault, trespassing, and resisting arrest. He also faces a drug possession charge after officers found him with suspected cocaine, according to police. The officers who first arrived told Sadm that he had to get off the bus because his dog was making fellow passengers feel unsafe, according to police. “Sadm, using course and foul language, responded by informing the officers he was not getting off the bus and the officers would have to drag him and his dog off,” police said. 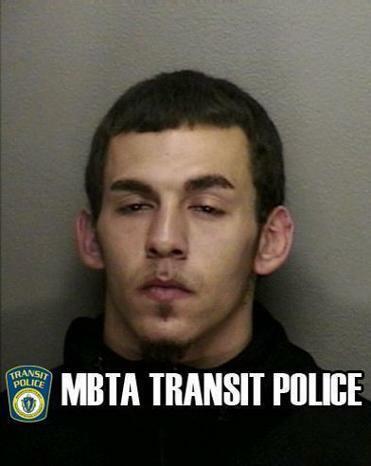 He wouldn’t leave the station, police said, and officers tried to arrest him. “However, he violently resisted and attempted to swing his pit bull at the officers,” police said. After he was in custody, Sadm’s dog was released to a female companion. Sadm is to be arraigned Monday. It’s up to drivers whether to allow pets on transit vehicles during off-peak hours, according to the MBTA. Those rules don’t apply to service animals, which are always allowed. Please note: "It’s up to drivers whether to allow pets on transit vehicles during off-peak hours, according to the MBTA. Those rules don’t apply to service animals, which are always allowed"
It's only a matter of time until a fake service pittie and it's fake disabled owner has a similar melt down on mass transit. And they wonder why ridership is down.